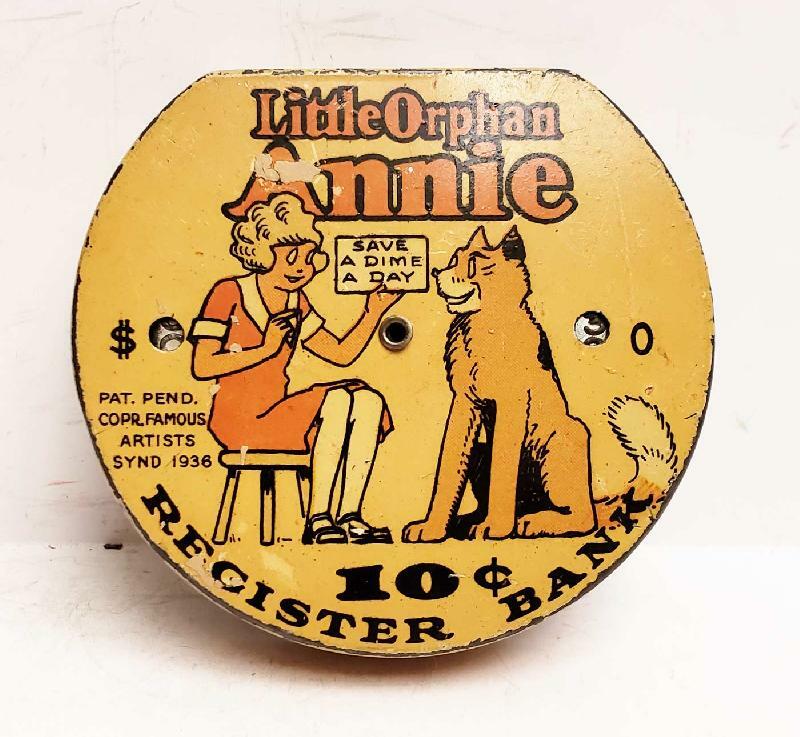 Little Orphan Annie Dime Register Bank. 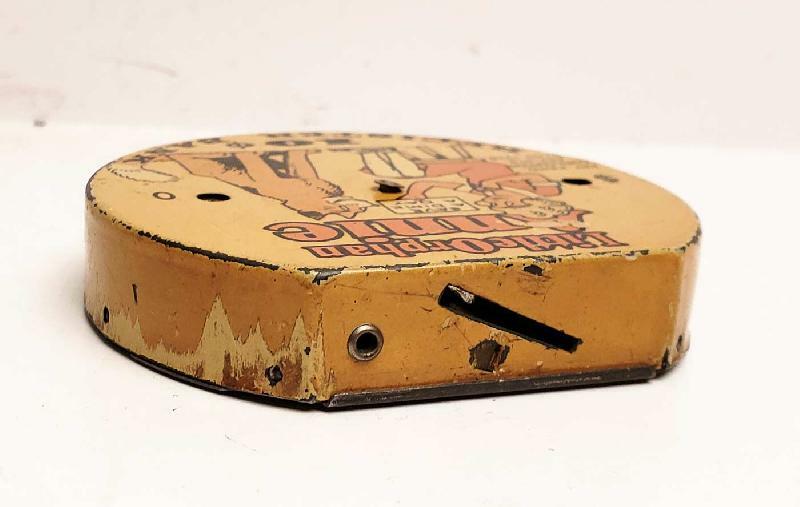 Pat'd 1936. 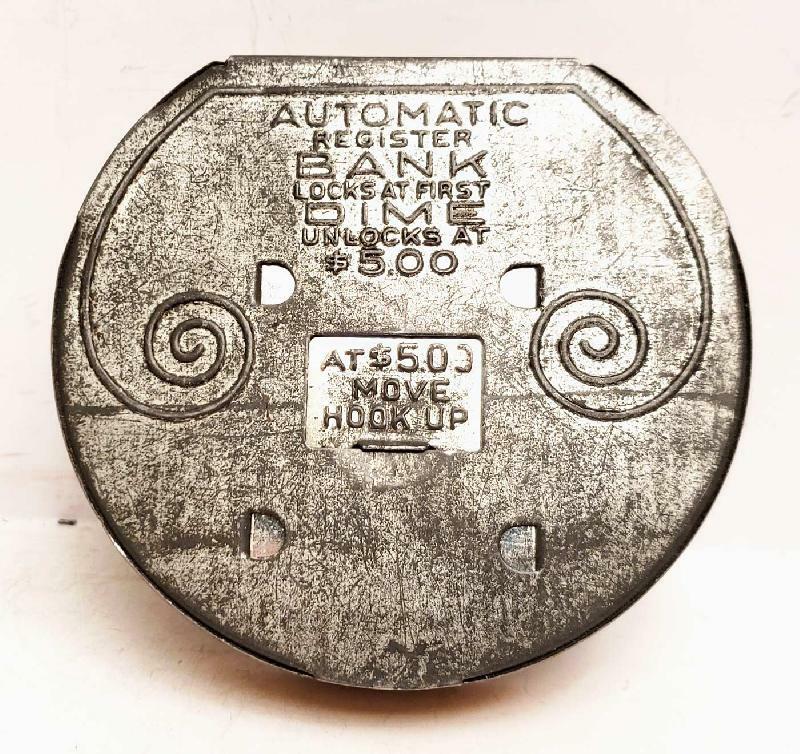 Mechanical tin litho dime register banks (banks automatically register amount inside and unlock and open up at $5.00 amount). Clean and quite nice overall Condition (Very Good) Size: approx. 2-3/4" x 3" x 5/8"